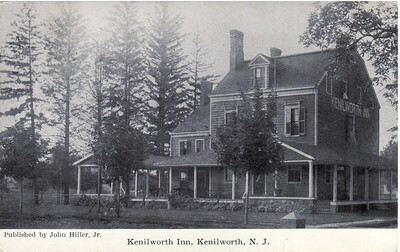 Just next door to Union, Kenilworth was once part of Connecticut Farms. 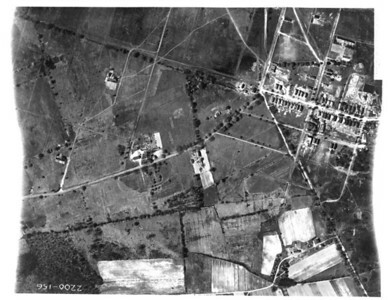 Since we have some 1923 aerial photos which show some great detail of Kenilworth, we feel this would be a great place to display them. 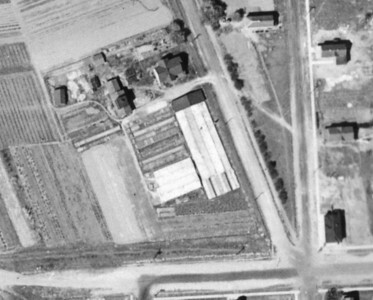 Several of the structures shown are still standing today and we would love to identify them. 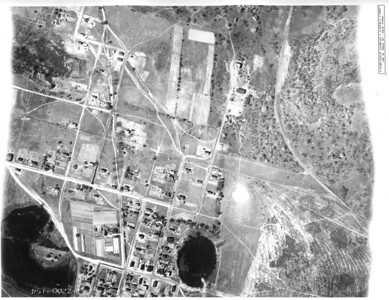 Please leave comments if you have any info on any of the places shown on the photos. 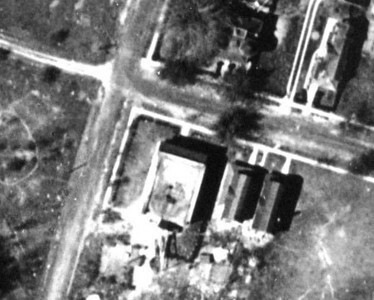 1923 Aerial of Charles Frost farm and greenhouses on Cross st. and Washington. 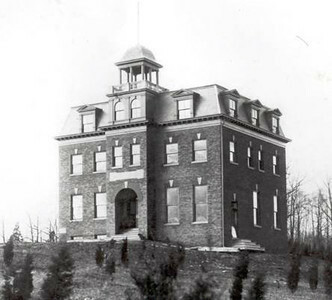 The house on Cross st. still stands today. 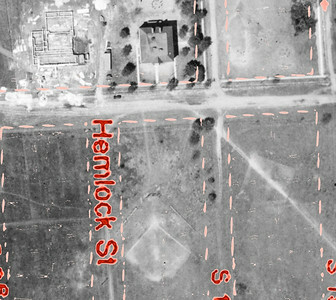 1923 Aerial Photo of Kenilworth with current street info overlay. This is a high resolution photo that can be downloaded and enlarged to show great detail. 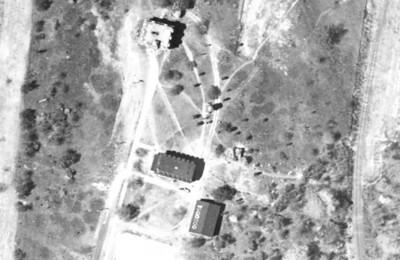 Many of the structures in this photo still stand today. 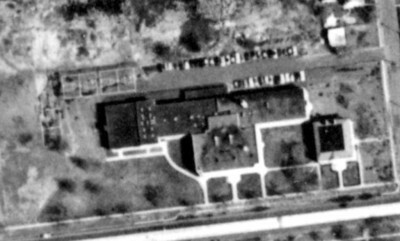 The newly built foundation of the Harding School can be seen if zoomed in. 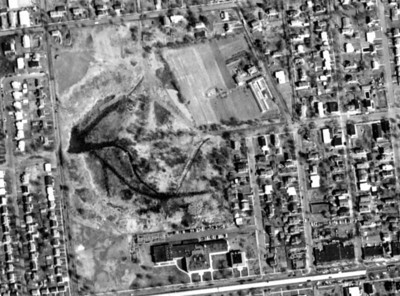 1923 Aerial with overly featuring Newark Ave. and the New Orange Park development. 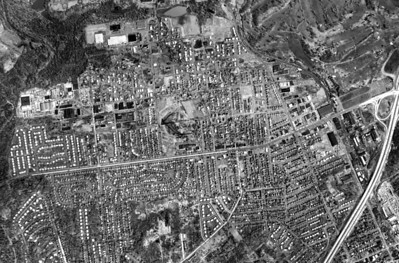 Aerial showing the center part of Kenilworth including the center of town. If you zoom in you can see some buildings that still stand today. This photo appears to have been some kind of double exposure so part of it can be very confusing. 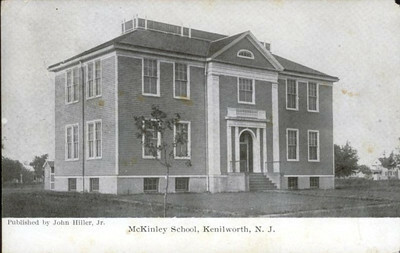 1923 Aerial of McKinley School and the foundation of the Harding school in it's infancy. 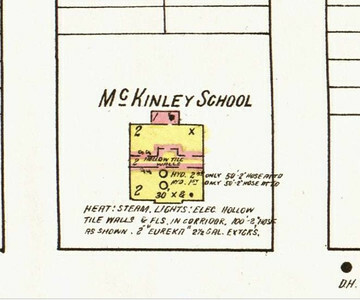 Sanborn Map image of the McKinley School from 1923. 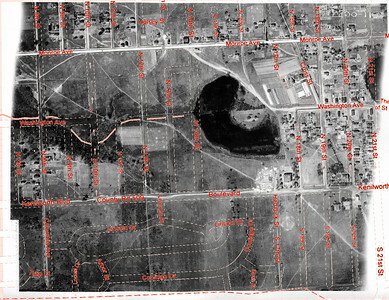 1923 aerial of an early housing development on Newark Ave. at South 23rd St. 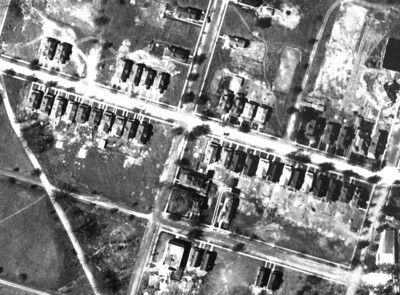 Most of these homes exist today. 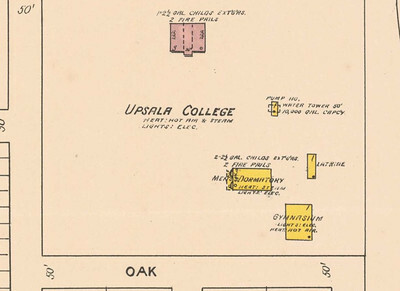 This development was called New Orange Park and built by James Arthur. 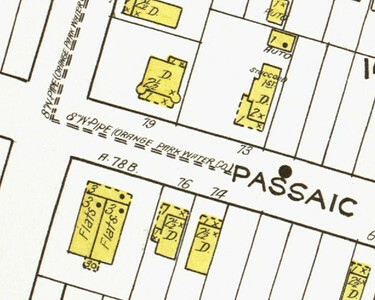 The Flats building is shown on the bottom at 23rd and Passaic. 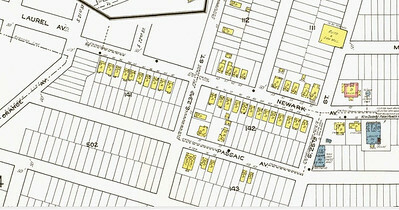 1922 Sanborn insurance map showing the New Orange Park development on Newark Ave.
1961 Aerial of the Harding School and the McKinley school on the right. 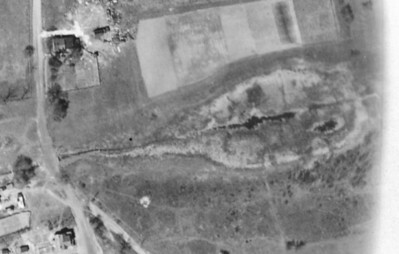 1923 aerial photo showing the pond in Blackbrook Park and the Sayre-Shallcross house at the top left which still stands today and is used as a real estate office. 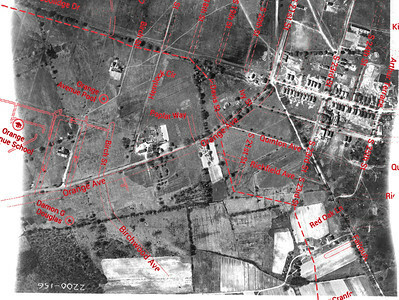 This 1923 Aerial shows Washington Ave on the bottom. 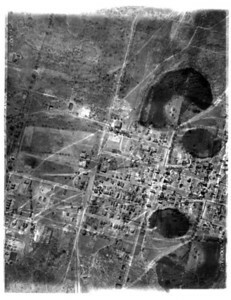 1961 aerial of Kenilworth. This very high resolution photo can be downloaded and enlarged to see greater detail. 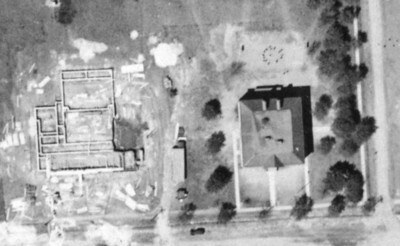 1961 aerial of Kenilworth showing The Harding School and local area.